It’s somewhat understandable that it makes national news, given that a large portion of Canada’s population lives in the path of the storm, and that a good number of flights go through Pearson Airport. The lead-up to the storm was a little much, but I guess it was a slow news week. Except for that Egypt thing, maybe. 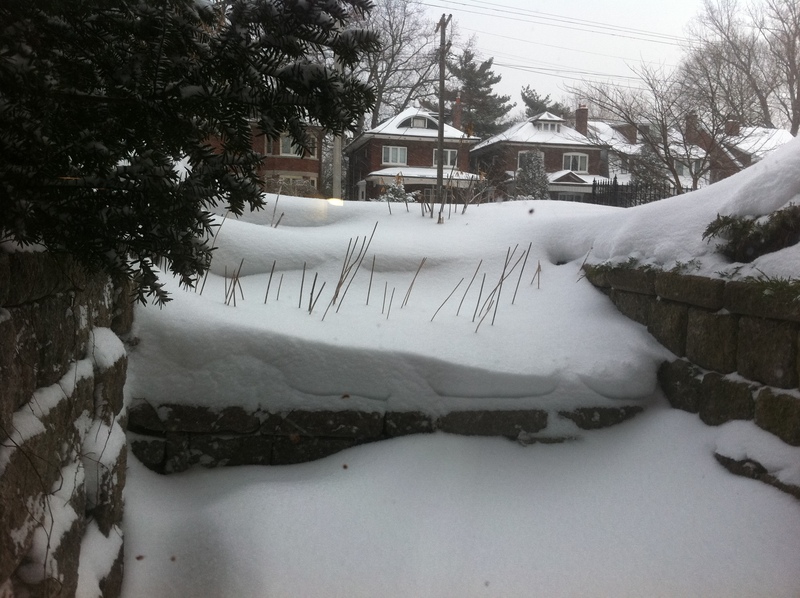 Last time there was a big winter storm in the GTA, I believe the media referred to it as “snowmageddon,” and Toronto got maybe 6 inches of snow. It sounds at least reasonably bad out there. 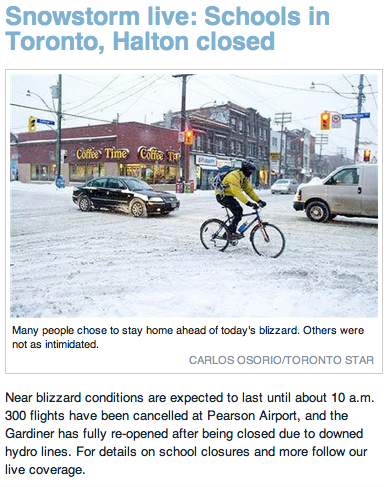 Toronto Star is covering it… live!. And the main page link makes it sound like a musical. Anyway, that’s not negligible damage they are reporting, my friends; no businessmen will be drinking wine en route to nearby cities via Porter this morning, which is tragic. 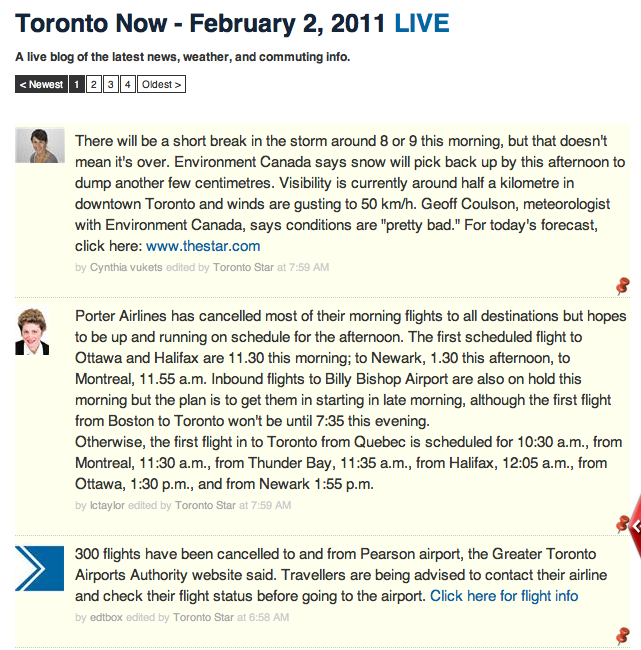 Pearson has 300 cancelled flights, so far. 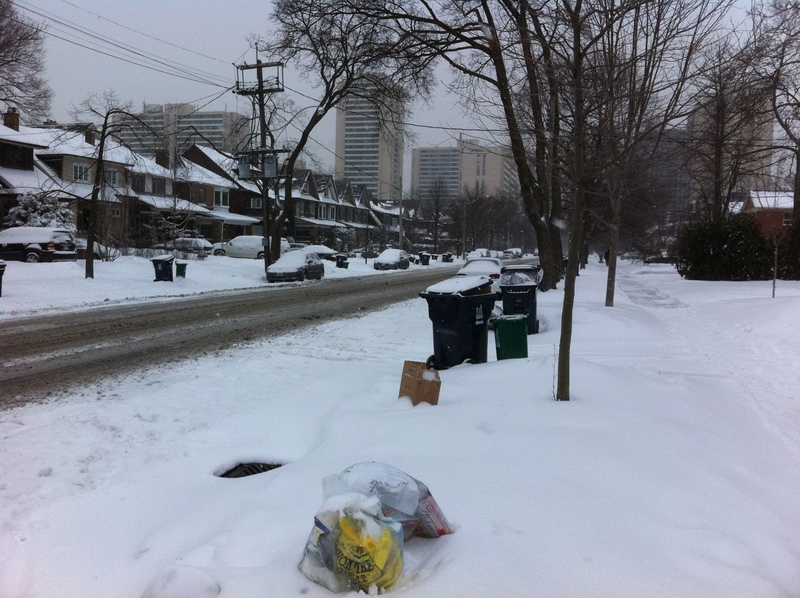 And Environment Canada says it’s “pretty bad.” The Toronto District School Board has cancelled classes, and several campuses have cancelled classes, although so far, not mine. 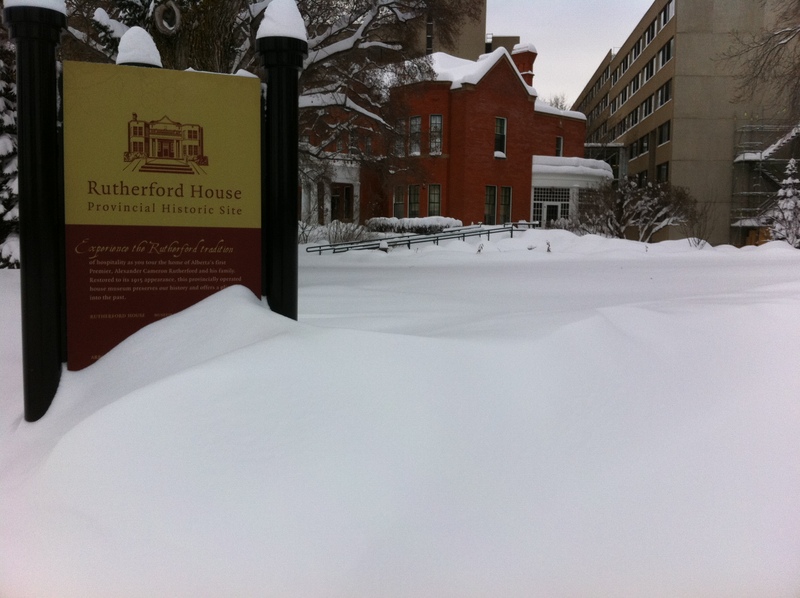 I'd feel pretty good about staying in bed and slowly morphing into Jabba the Hut today, U of T. And I'd feel a lot better about doing so if I knew that it was dangerous enough to get to campus that you'd cancel classes for lowly undergrads. Thanks for NOTHING. To make this easier, I will name the snowstorm. I am going to call him Larry. Hi, Larry! Larry looks fluffy and soft. Like a kitten. UPDATE (9:09 AM): Just for the record, I am well aware that no one will actually sit in front of my blog and hit refresh like some sort of crack rat. UPDATE (9:20 AM): Outside. Disappointed that I am not awash in a sea of ice. I was sort of hoping that visibilty would be so low that I couldn’t see my phone well enough to type. Also that it would be cold enough for hands to fall off. OH MY GOD THERE IS SO MUCH SNOW!!! Oops, that was Edmonton from a couple of weeks ago. This is much more anti-climactic. 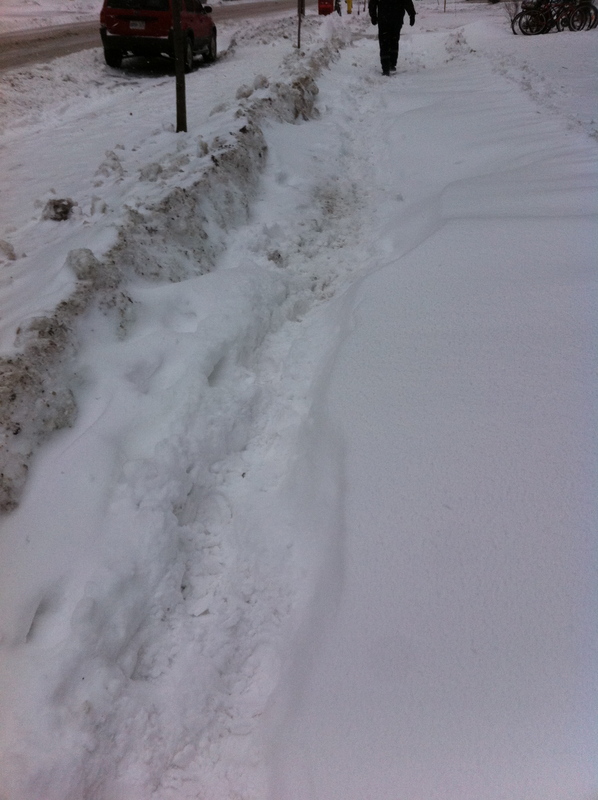 UPDATE (9:26 AM): I only pray that if I fall on the way to the subway that someone finds me in all this snow. This was about the pinnacle of Larry, depth-wise, that I encountered. UPDATE (9:44 AM): Good news: Larry did not interrupt Coke delivery this morning. UPDATE (9:46 AM): Also, I’m typing this on an iPhone as I walk, so as you can imagine, the snow must be of epic proportions. 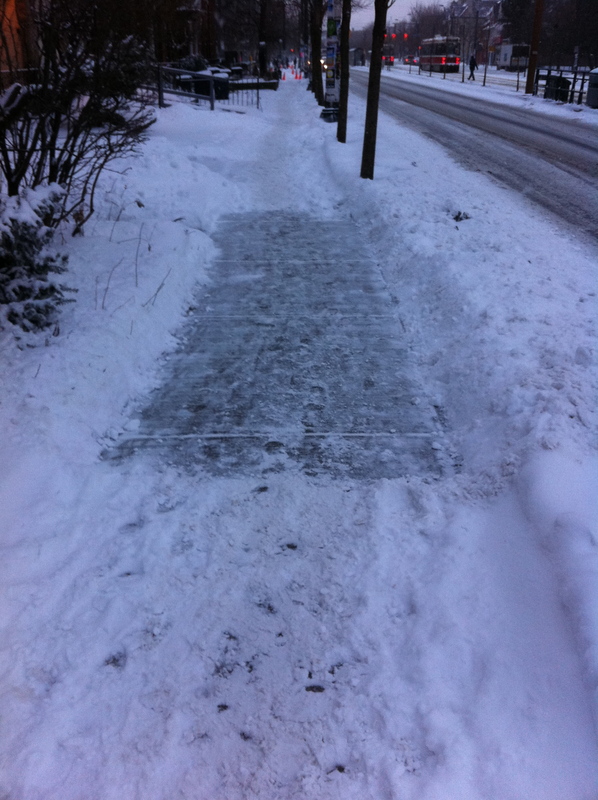 Thank goodness some kind soul has offered me this small reprieve from the relentless snow. UPDATE (9:50 AM): Something interesting to report: I just saw a pink co-op taxi. UPDATE (10:25 AM): Phone changed my title again. And I’m missing a post. The gist of it: “Seriously, Larry? 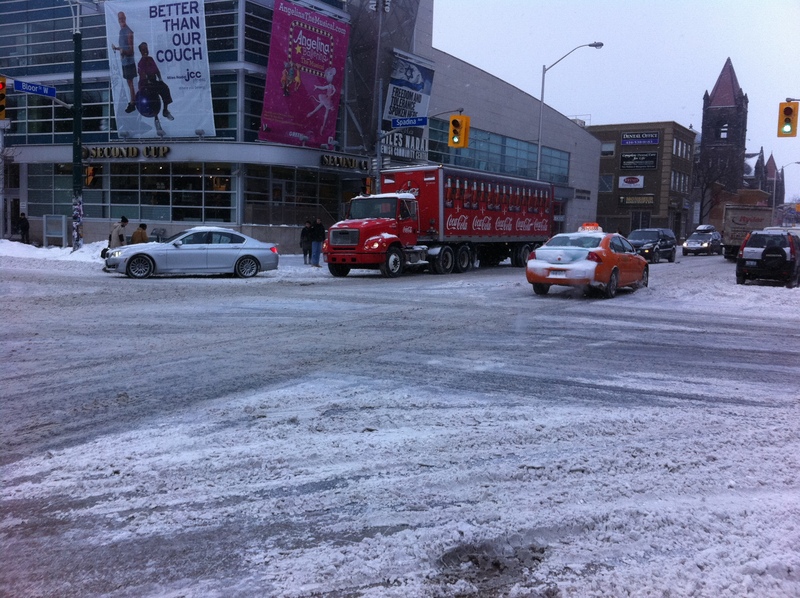 Not even a TTC delay? Honestly.” Blargh! Fortunately I am safe indoors from Larry’s frightening grasp and on my laptop. 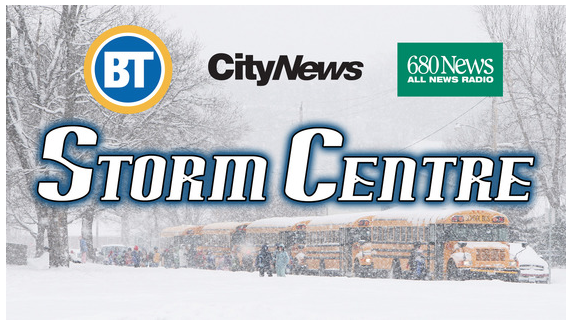 Another exciting development is that a friend has informed me that CityTV has a Storm Centre, which should meet all your winter storm needs. Apparently they had a feature on Larry for a full 20 minutes on Monday and how he was planning on ravaging Toronto. And they didn’t bring up the meteorology of winter storms even once. That’s not vaguely sciencey at ALL, CityTV. I disapprove. 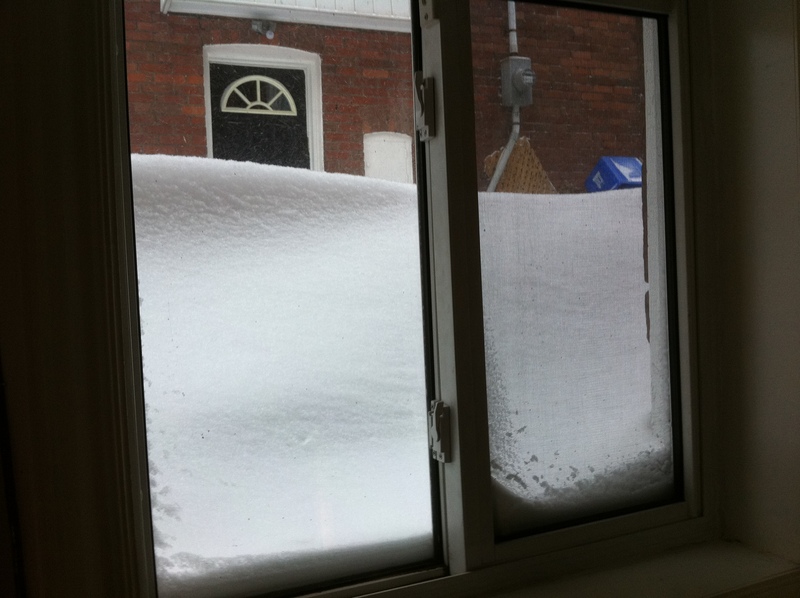 Be careful, though: there are still a few more centimetres to come. 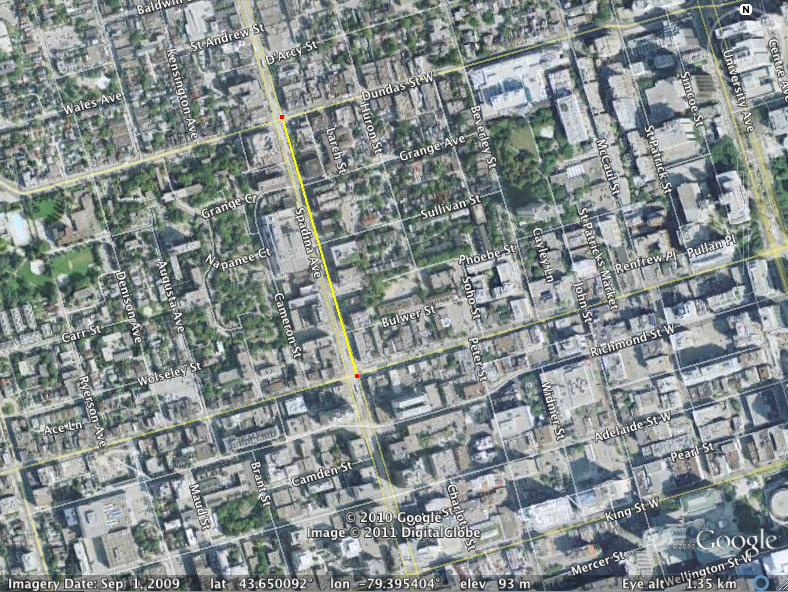 And visibility is only half a kilometre at the moment, which according to Google Earth, is roughly the distance between Dundas and Queen along Spadina Avenue, and roughly two orders of magnitude larger than the average distance between moving cars in the GTA. Godspeed you on your way, sweet Larry. 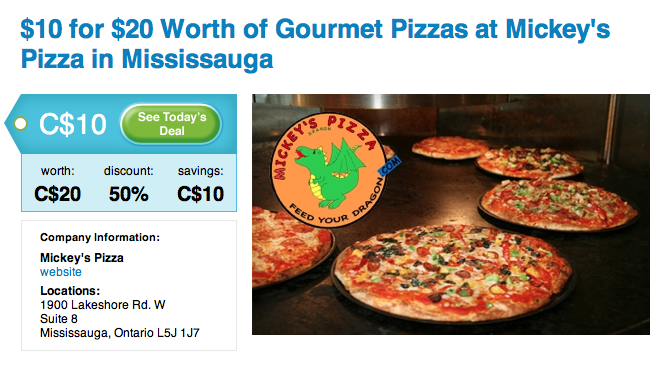 I suggest you celebrate surviving the great storm of ’11 by feeding your inner dagron with today’s Groupon; what better way is there to commemorate this shared experience than with shared consumerism? I’m off to go move an expensive analytical instrument now. I imagine I will be more or less completely unimpeded by the warpath left by Larry. UPDATE (3:48 PM): So it appears campus movers closed today, based on the observations that they aren’t answering their phones and they never showed up to move my equipment, which wasted 4 hours of my day. And so, in closing, screw you, Larry. This entry was posted in Uncategorized and tagged disappointment, snowstorm, Toronto, tsnownami, wimps. Bookmark the permalink. 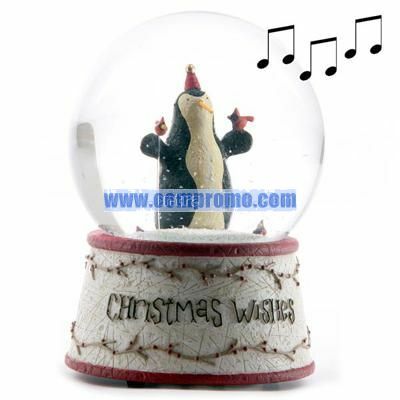 4 Responses to Snowstorm: The Musical: Live! 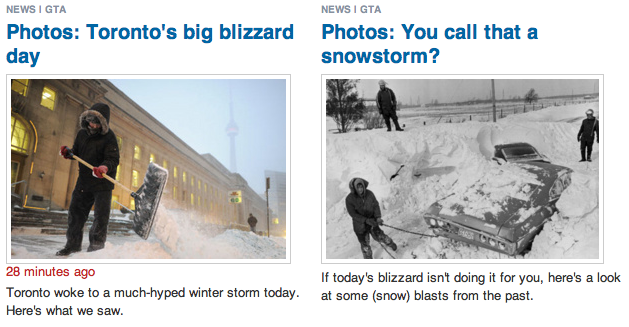 You know, we got 30 cm of snow on the weekend, and no national storm coverage here? What’s the dealio yo? Can we set up some sort of donation fund for those poor businessmen who’s Porter flights were canceled? They’re the REAL victims in all of this. Or at least a “Hug a Short-Haul Flying Businessman Day” to make them feel loved and wanted again. I might sit on your blog and hit refresh all day. Depends on whether or not I like your updates.